Within 250 miles of Omaha, NE. Your clinic will be led by Olympic swim coach, Todd Schmitz. Not only did Schmitz coach Missy Franklin to 4 gold medals at the London Olympics, but he has also coached his team, the Colorado Stars, to 18 Colorado State Team Championships with a philosophy of “emphasizing the FUNdamentals”. SAVE by signing up early! Prices will increase as we get closer to the clinic. Sign up with 3 or more coaches from your team for a discount! A lot of time and cultivation goes into developing a world-class age group swim program. At this clinic, Coach Schmitz will focus on specific areas of interest that teams of all sizes can use to get to their next level. The session will be held in the beautiful auditorium at the Brownell Talbot School. We will be showing videos on a large screen along with a PowerPoint presentation. We encourage audience participation throughout this clinic. 5. 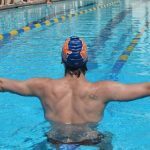 Focusing on technique at a young age... and how that helps with retaining swimmers in the sport! 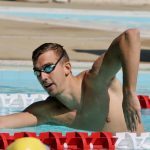 Every participant will receive one month of FREE MEMBERSHIP to Fitter and Faster's Swim Videos on Demand which features elite clinicians teaching and demonstrating drills to improve technique!